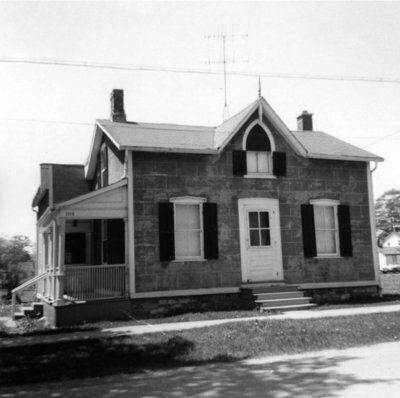 A black and white photograph of 1718 Brock Street South. This house was demolished in 1976. 1718 Brock Street South, May 23, 1969, Brian Winter. Whitby Archives 17-181-001.